The Ladd Room is our largest and most spacious room available. The cozy room looks out over the lush backyard, allowing you to view the flowers, deer and wildlife which appear most every morning. It is furnished with both a love seat and an electric fireplace. 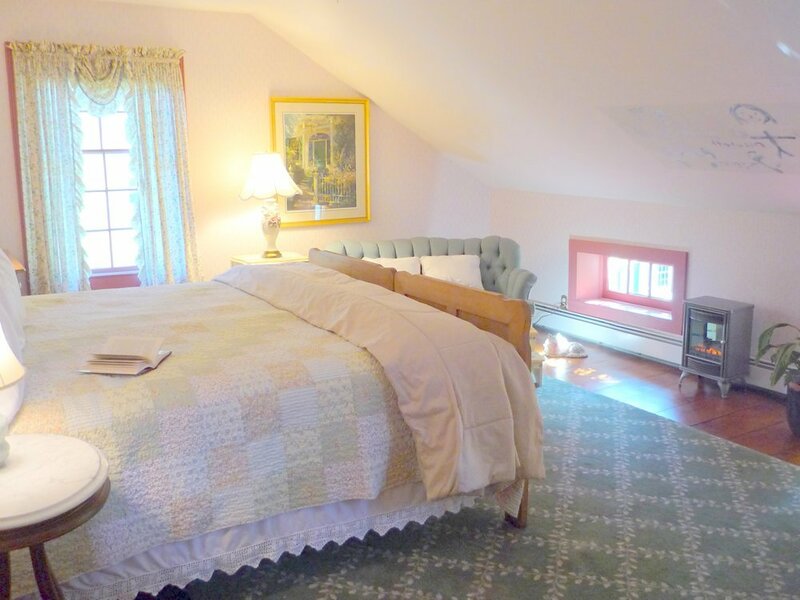 This guest room offers a king-sized bed or two twin beds if desired. 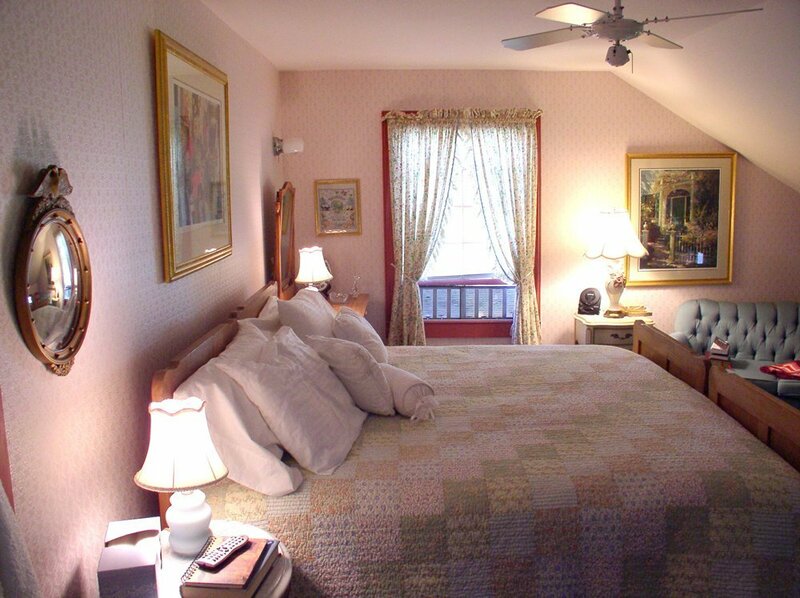 The Ladd room is spacious enough to add an additional twin-size bed to accommodate an extra guest, if necessary. On a budget and traveling with another couple or family? 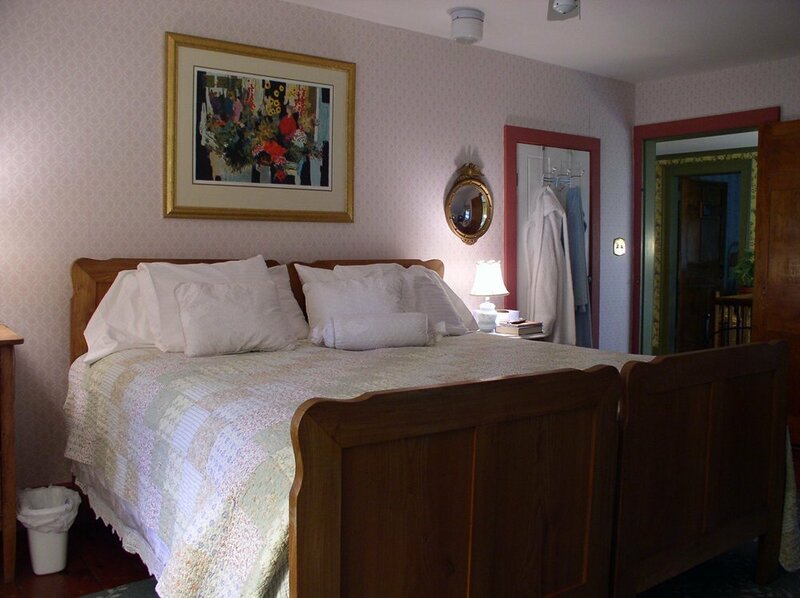 Larger families and couples traveling together often reserve the Ladd Room and the Roosa Room. 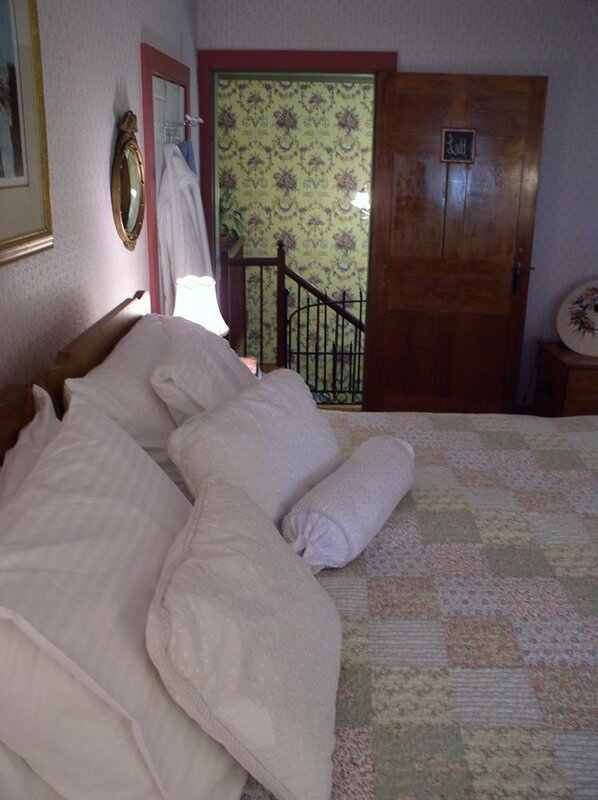 Ask about our special offer for reserving both rooms. The Ladd Room can be reserved with a private or shared bathroom. Please let us know if you require a private bathroom when making your reservation. "Thank you so much for your incredible hospitality! 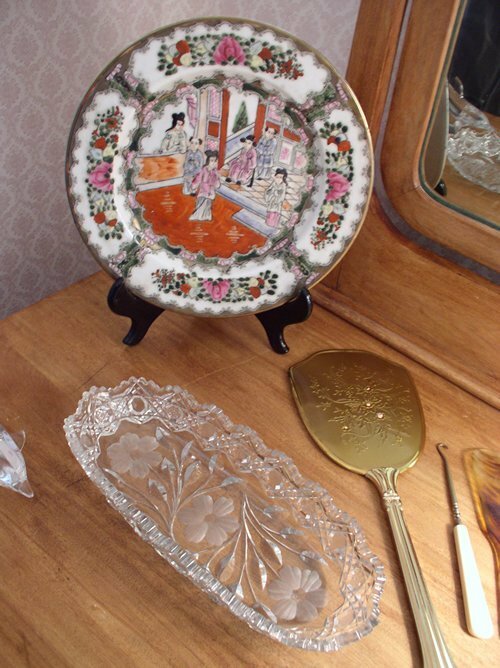 Your breakfasts were amazing and this house is so warm and cozy…and full of charm! Getting away from the “real life” and escaping here was such a treat…full of memories. Thank you so much for the opportunity to come. Blessings to you! T&J N"
and pin us on Pinterest!